It’s that time of year when we start thinking about the IMAGinE awards for 2017. It seems like only yesterday we celebrated with all our nominees and winners at the 2016 IMAGinE awards event at Verge Gallery in Sydney. We thought it’s about time we revisit some of our winning people, projects and program from last year to see what’s been happening around NSW in 2017. 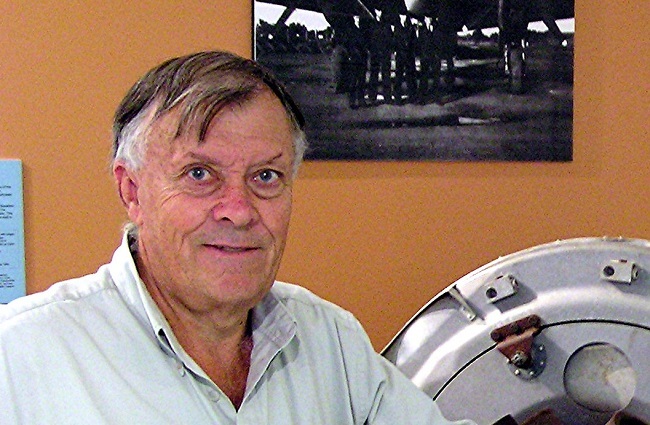 Peter Kierath was the winner of the 2016 IMAGinE award for Individual Achievement – Volunteer for his significant contribution to the Narromine Aviation Museum. Through his interest in local history Peter has become an authority on the aviation story of the town of Narromine. He has been a committee member, including several years as chairman, of the Museum since its inception in 1998. As one of the major driving forces behind its creation and subsequent growth, Peter has been largely responsible for many of the initiatives which have seen the Museum and its profile improve over the last 18 years. In 2013 he was appointed project manager for the fundraising, design, construction, fitout and displays for a new wing extension. Peter spearheaded the project five years earlier after recognising the potential for integrating a number of historic aircraft into the museum. Peter responsibilities included; managing fundraising and administering donations, organising development applications with the local council, working alongside the project architect and engineer and co-ordinating the storylines and display layout with the curator. Since taking home the awards in November last year, there has been no rest for Peter and the team at the Museum, with 25 new projects planned for the future. These include a 16 x 16 metre curved roof hanger, displaying a 1950s FA 86 Sabre jet fighter, and a memorial wall remembering the 2,850 World War II pilots who trained at Narromine. The Museum is now Narromine’s number one tourist attraction and they are on track to increase their annual visitor numbers to 10,000 in five years. If you know of an individual, project or program that you think deserves to be nominated for an IMAGinE award, make sure you download the award Guidelines and start working on your nomination before the 10 August 2017 closing date. Good luck! Nominations for the IMAGinE awards are open! This is your opportunity to tell everyone about your achievements of the past 12 months. Share how your people and programs have created a richer community and contributed to the extraordinary diversity within the NSW museum and gallery sector.